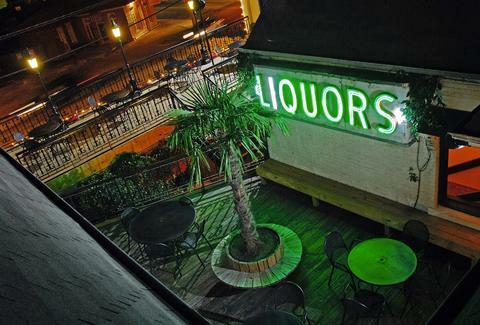 It’s pretty much always happy hour in New Orleans, so it makes perfect sense that The Quarter Bar would have a happy hour that would fit in just fine on Bourbon St. The patio boasts a fine view of the world's greatest skyline, and the interior courtyard is perfect for all seasons. Watch out for the Uptown Trolley on the way out! 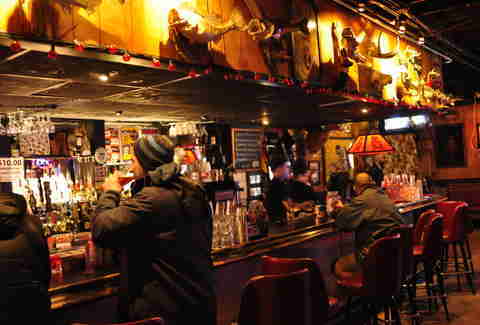 The special: $2 wells & domestics; $3 drafts, Monday-Friday, 5-9pm. Happy hour extends all night Monday & Tuesday! Would your mom ever mix you chocolate milk after a long day at school? Well, take that chocolate milk, put it into a margarita machine with whiskey, and slap some tattoos on your mom and we have a Yoohoo Yeehaw at the Double Wide. Their "CHEAP A$$ Happy Hour" is a favorite among local musicians and anyone else who needs to forget about their day-job. Dallas may have a reputation for being a "tear down" city, but an exception was made for this historic building built in the late 1800s. 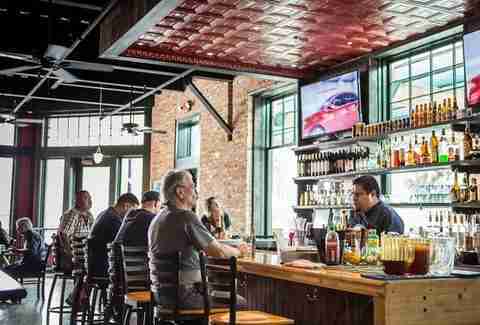 Instead of tearing it down, it was moved, brick-by-brick, a few blocks South, and is now home to Green Door Public House. Every window is filled with views of the skyline and the patio is spacious for Downtown. The special: $5 cocktails, Monday-Friday, 4-7pm, and all day Tuesday & Wednesday! The dream of the 1890s is alive in Oak Cliff. Yes, they brew beer at Small Brewpub, but for happy hour, the focus is on their historically inspired cocktails. 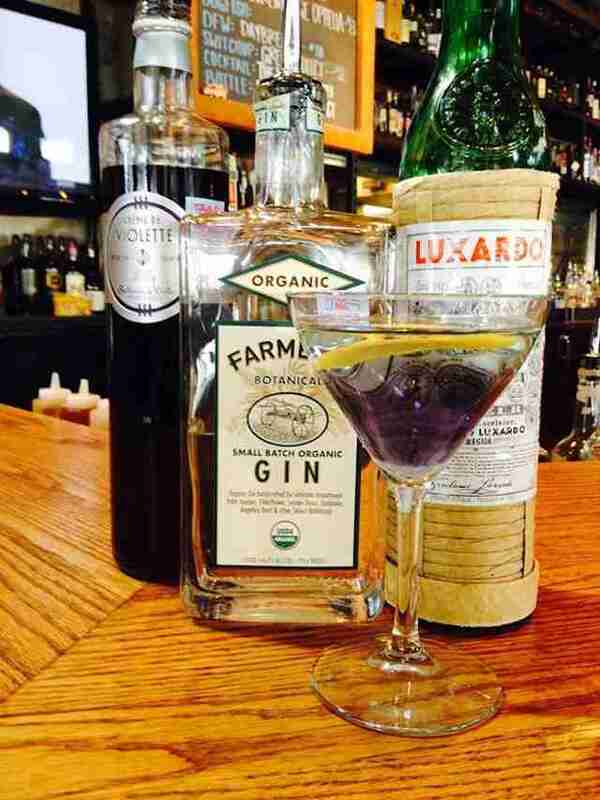 Each week, the bartenders pick five cocktails to reinterpret from Jerry Thomas' Bartenders Guide, first published in 1862. Gin Fizz, anyone? 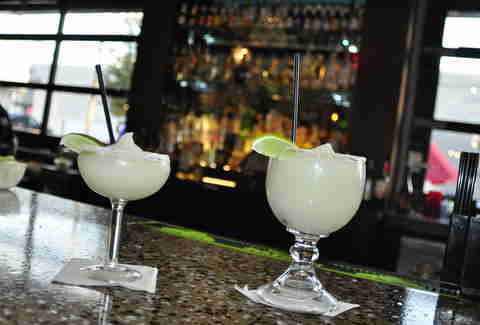 The special: Cheap house margaritas ($3 small, $4 large, $1.50 off drafts and half-off apps), Monday-Friday, 2-6pm. If you grew up in east Dallas, chances are, you ate at Matt’s quite a bit. Though Shirley Temples may no longer be part of your repertoire, Matt’s is still there for you with more adult beverage options. Their new-ish location has a much-upgraded bar area, and they still don't mind if you insist on having queso for dinner. 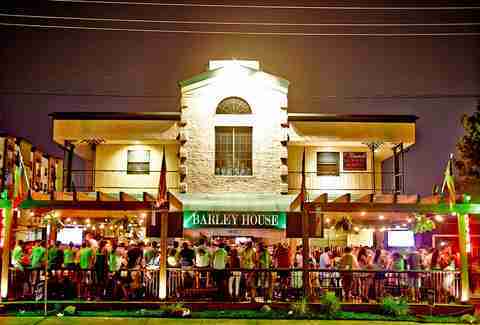 A staple for any SMU student, Barley House is that standard-yet-necessary bar for any college area. Plus, walking to and from the bar comes in handy when the deals are this good. 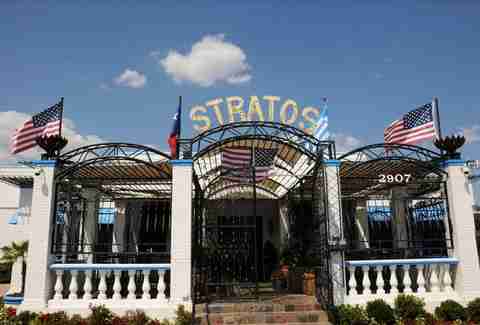 It’s a party every time you walk into Stratos Taverna; napkins are flying, belly-dancers are jingling, and most importantly, the drinks are being served as fast as they can be poured. The double-decker patio fills up in the warmer months, and (super-bonus!) the entire food menu is 1/2 off on Monday and Tuesday nights. 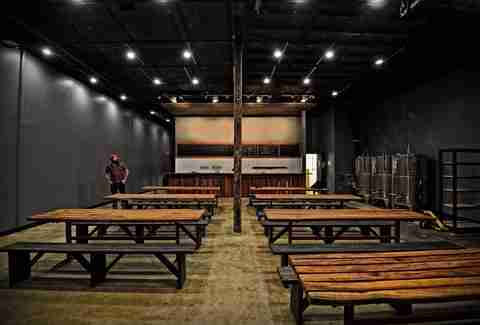 Before the craft beer explosion of recent years, finding somewhere pouring more than the standard mix of domestics and imports was an arduous task. 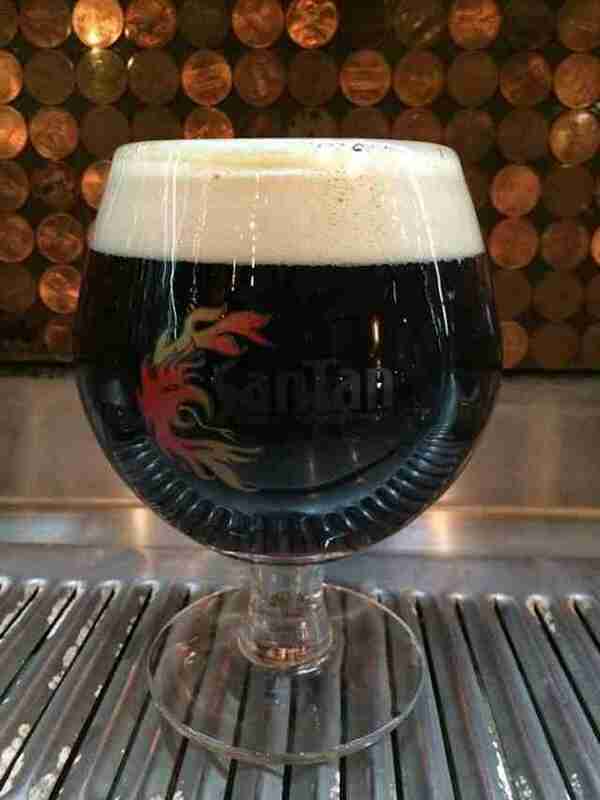 The Flying Saucer has been catering to "Beer Knurds" since before chocolate stouts and pumpkin-spiced dunkels were part of the regular lexicon. For the truly dedicated, there is a spot on the "Ring of Fame." for your personally engraved plate, commemorating your love of brew. As the saying goes, "You can have your cake and whiskey too"... or something like that. There are 100 different whiskeys, bourbons, and Scotches to choose from. There are, unfortunately, not 100 different cakes. But there IS a cake made with whiskey. As it turns out, the suburbs aren’t all bad. Bars like Eight 11 stand as proof that you can find a warm, homespun atmosphere in the outer reaches of Dallas. 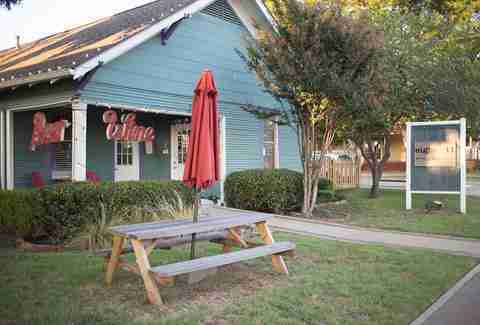 This house has been converted into a bar, Austin-style, offering a nice respite from the cookie-cutter subdivisions and generic storefronts of suburbia hell.